Israel strikes Syrian army position in response to rocket landing in Golan Heights. Israeli forces attacked a Syrian military position on Wednesday, hours after a rocket from Syria hit the Israeli-held Golan Heights, an army spokesperson said in a statement Wednesday afternoon. 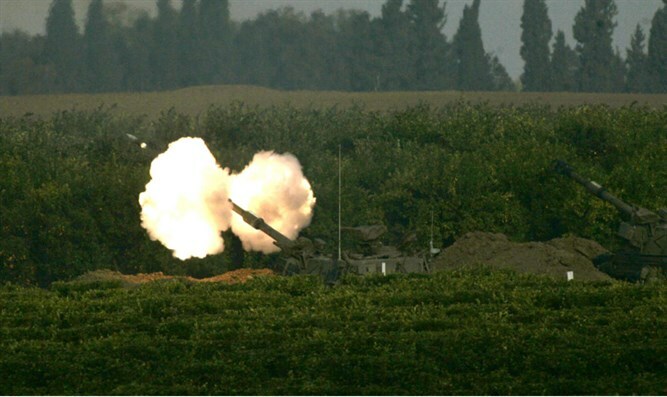 "In response to the projectile which hit Israel earlier today, the IDF targeted an artillery position of the Syrian regime in the northern Syrian Golan Heights," the IDF spokesperson said. The rocket fire caused no casualties, the army said, and was "most likely a result of the internal fighting in Syria." Israel has sought to avoid being drawn into the conflict, but has attacked Syrian military targets when fire spills over the demarcation line. The Israeli army holds the Syrian government accountable for any fire from its territory, regardless of the source.